"Q: The World Championship seems to be an exclusive series which not many can access. Is this concept correct? A: This is how it should be, the World Championship is the top of the pyramid with a base of Continental Championships. Basically the World Championship, which is competitive at 360 degrees both for the riders aiming at the Championship and for the teams wishing to remain in the paddock, is for the elite, the very best, it is not for everyone. On the other hand the Continental Championships, which are the base to enter the World Championship, are those where all riders can participate. The World Championship must be only for the ‘crème de la crème’; the best riders, the best teams, the best motorbikes, etc. It is quite understandable I think. 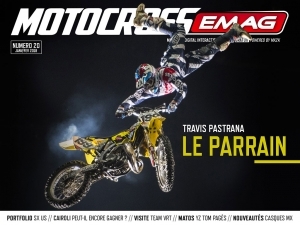 I have never seen a young (or old for that matter) fast and talented rider stop racing due to not being accepted in the FIM Motocross World Championship. Q: Is there a risk to remain short with teams and riders by adopting this idea of management? A: To have the elite brought together in the FIM Motocross World Championship, it means that there is a selection from a larger group. The higher the average level, the harder the competition is to get into the World Championship, but in the end a group of teams will always be found. In 2010 Youthstream wants to have less teams as this will increase the quality of racing, and not because of the crisis. Q: 40 riders at the gate? A: When we set the rule of 40 riders on the gate and the rule of the qualifying heats on Saturday, we immediately saw an increase of competition and a better response from the fans who can profit of Saturday’s racing. This rule remains in force but we would like to concentrate the MX1 into 30 selected top riders to keep the level more homogeneous. Q: Why only the MX1? A: The MX2 class is a sort of “ladder” to get to the MX1 and there are a lot of riders with a good speed, and there are seven or eight riders coming from Continental Championship every year. The MX1 class is the point of the pyramid, it is exclusively for a group of riders who have gone through a tough selection and there are just a few who have the necessary skills to compete at this level with the 450cc machines. Furthermore, the MX2 is a class for younger riders who need to mature and gain a bit more experience before moving into the MX1 class, it makes no sense for a rider to stay forever in the MX2 class, once they are ready they should move up to the MX1 to display their full potential in the most competitive Motocross series in the world. The philosophy of the sport is to break the limits, look at how the sprinter Usain Bolt of Jamaica is breaking all records in running, we do not want riders to get stuck in one place when there is a chance to go further , this is why we introduced the age limitation in the MX2. MX1 and MX2 need to have their differences, there is no sport in the world where two championships are practically the same. Q: Is this new rule troubling the teams who have to replace riders because of this? A: There is no new rule. Teams continuously replace riders, they are used to that. We announced this rule in December 2007, I presume everyone had the time to organize themselves for 2010. It all boils down to the fact that some teams work well, and some others do not - and those who do not, do not deserve to race in the World Championship. Q: What do you mean when you speak about the pyramid structure? A: We promote not only the FIM Motocross World Championship but Motocross in general, we have our management spread all over a series of Championships which are useful to keep the sport growing. 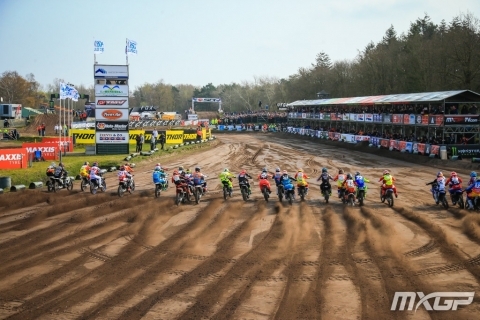 The base of the pyramid consists in the Continental Championships 65cc and 85cc, the 125 2T or the 150 4T, and the European EMX2 (250 4T), Youthstream manages the European Motocross Championships. 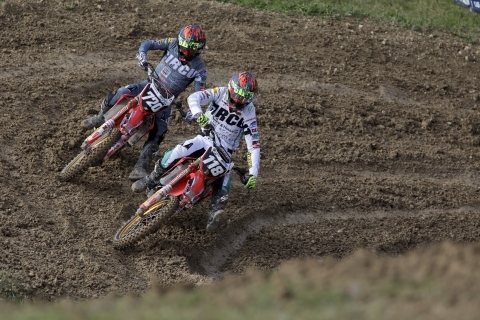 These series create a lot of new talents, statistics show many young riders in the FIM Motocross and Supercross World Championships come from these Championships. The riders of the UEM European series compete quality circuits with a good organization. Musquin, Roczen and Paulin are just a few great riders and true professionals who have been able to express their talent through a Continental Championship, now they race in the MX2 class and are on their way to MX1 – the point of the pyramid. 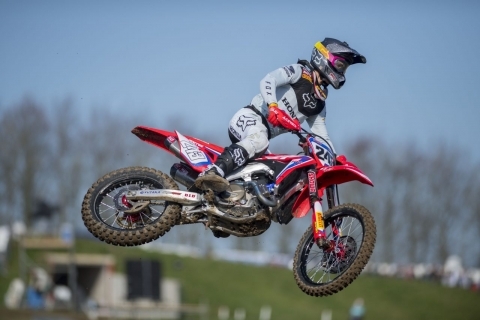 There are more coming for next year (Herlings, Brakke, and others). Q: Doping can be a shortcut to break through these ranks. A: Having been a rider myself, I am proud of our riders, I am respectful of the hard work and sacrifices they do to make it, and I am ashamed when I hear such gossip and of people underestimating their efforts. The FIM is very transparent in this matter, making controls and communicating the results via a press release, which is of course available for everyone to read. When a rider has been found positive to taking forbidden substances they have always been heavily punished, as they should be. Talking about doping when there is no evidence is just gossip that is detrimental to our sport. I believe that these rumors are spread by those who are less talented and compensate their lack of talent with effort. So it’s normal that riders with less talent are more tired at the end of a race than those with more talent and use less effort. Then we get the unprofessional journalists who use this gossip to create their story. Q: What about the teams quitting because of the crisis? A: I would like to know who the teams are who are quitting. To be honest every year there is a so called “crisis” which some people complain about or use to justify problems. Even football teams complain despite having hundreds of thousands spectators and millions from the TV rights. For the teams it is necessary to work continuously if they want to keep their spot in this series, quitting is not due to some sort of crisis, it is a sign that the quitter does not have the skills to continue. If there was this crisis then the Promoter would have the same problems as the teams because many of the sponsors are the same! As you can see it is a difficult moment but we are far from being in trouble, and I frankly do not see any major team stopping. Q: Is there an example you can mention? A: Yes there is, the manufacturer change of Claudio De Carli and his team is an important issue of the year; I am happy to see that when a professional team loses an opportunity they find another. This demonstrates that in the FIM Motocross World Championship those who work well can continue and even go forward with their business. Many new sponsors came in 2009 supporting top teams; Casino Bonver with TM, Welcome to Istanbul with Kawasaki, TEKA with Suzuki, Red Bull with Yamaha De Carli on top of those who were already present; Red Bull with KTM and Monster with Yamaha and CAS Honda. Q: How is Youthstream dealing with the World Championship teams? A: The continuous dialogue is the base of our relation. At the Grand Prix’s I spend time talking with representatives of teams and manufacturer, plus Youthstream has a dedicated department dealing with the teams in terms of sport and business administration, including paddock and infrastructures. Each single team is important to us, each single team has rights and duties. The process is transparent and there are no longer the old interferences which used to oppress the smaller squads. Q: Is Youthstream acting to stop these interferences or does the promoter remain neutral? A: We have the duty to promote the Championship in fairness, and when this fairness is in danger we have the duty to act. These days we are working to support the experienced teams against the decisions of some manufacturers that would like younger and especially richer teams to replace them. This is not a fair selection, we will not allow that committed long time World Championship teams will be forced to stop their activities for no reason. One of our responsibilities is to protect the jobs we have created over the last five years with the evolution of the FIM Motocross World Championship, and at the same time we keep the older and more established teams we are happy to have some new professional teams join us. At the moment we have around 30 teams ready to race in the 2010 World Championship, with their budgets covered and with their equipment ready to go, this is a sufficient number to run a good World Championship. I believe that with this set up all the good riders from 15 to 30 years old will surely have their place. Q: Can a rider make a living out of professional Motocross? A: Once you call something “professional” it mean it must provide you with the means to survive and this is the case of professional Motocross. Nowadays all riders entered through our system of Officially Approved Teams have a salary going from a base of 20,000 euro until a peak of 800,000 euro, though we are pushing to have a minimum salary of 24,000 euro. Looking back at some years ago most of the riders were privateers without salary and most had to cover their own expenses. It’s normal that everyone wants more, but if a rider is fast then he can make a comfortable living with Motocross, all the fast up and coming young riders immediately enter into a professional structure with good contracts; see Musquin, Roczen, Paulin, Herlings, etc. Q: Can a rider feel safe when he does his job then? A: Unfortunately the mechanical sports carry a rate of risk but we do our best to reduce it. First of all on our tracks there are all the necessary medical services requested by the FIM regulations, which is the base to guarantee the safety. Furthermore Dr. Scevola, Clinica Mobile, is carrying out an excellent work at all the events. Since we manage the World Championship we have always cooperated with the local organizers to remove trees and stones, we have introduced the safety netting, we have moved the areas for the public further away to increase their safety, we have eliminated the dust, etc. If one day we will have the support of all manufacturers, not just KTM, we could even hire a professional medical backup staff following the whole series with their mobile unit. Q: Where are the many injuries you had this year coming from? A: While the World Championship has only 15 races, which are run on highly organized and maintained venues, the calendar of a professional rider is full of events, around 35 a year. This is too many because most of these races are run on inadequate tracks having no maintenance or facilities. 70% of the World Championship riders’ injuries came from training sessions, National and/or International events. MX1 has more injuries than MX2 because the 450 bikes are too heavy and too powerful; this is something for the manufacturers to think about. Q: Part of the promoter’s work is introducing money in the series via the sponsors. What has Youthstream done in this aspect? A: Youthstream is well aware of this need. I can briefly list some of the multinational companies investing in the World Championship because of our promotional work: Red Bull, Monster Energy, Teka, Hyundai, Braun, Rockstar, Welcome to Istanbul and Casino Bonver have all entered the series where they can see business opportunities. There are many like them, and none of them are leaving, they are actually reinforcing their presence for the future. Next year we will have other big sponsors joining forces with us and with other two teams. Our work is to create a bigger and better World Championship with more and more TV and media coverage, we have created a great stage where manufacturers, teams and riders can show themselves and attract important sponsors, and we want to continue improving this. Keep in mind that only 10 years ago the majority of riders were privateers and some teams had a staff of 2 - 6 people working for them from a van of a maximum of 6 to 8 meters, today most teams have 10 to 20 people working for them, a minimum of 1 semi-truck (18 meters) and in many cases teams have a second semi-truck for their hospitality. A: I personally believe that for the value of the FIM Motocross World Championship the overseas events are very important, it’s essential to go to growing markets where there are possibilities of many spectators and the possibility to attract more and a wider variety of sponsors, we believe it’s positive for the teams and for all participating in the World Championship – but the Japanese manufacturers are making a strong lobbing against this, and this is unacceptable because in reality they use the World Championship to promote their products all over the world and develop their motorcycle, but then they tell the teams that they only have a ‘European budget’. Q: What do you dream for the Motocross over the future 10 years? A: You have to take this just as my dreams: To have 18 Grand Prix events including USA and/or Brazil and/or Russia and/or China and/or India and/or Indonesia and/or Australia and /or South Africa, and 12 in Europe. To see 12 teams in MX1 and 15 in MX2 all with 2 riders. To see all the manufacturers officially present with 1 team in MX1 and 1 team in MX2. To have the live TV coverage not in Europe, in the Middle East and in Asia, but instead covering the five continents like we already have with the worldwide live coverage on Internet via Freecaster. To have at least one big sponsor per team like TEKA, Red Bull, Braun, Hyundai, Casino Bonver, Monster, Arcese, Mormaii and Welcome to Istanbul. To increase the quality of the infrastructures and the welcome for the fans at Grand Prix events. 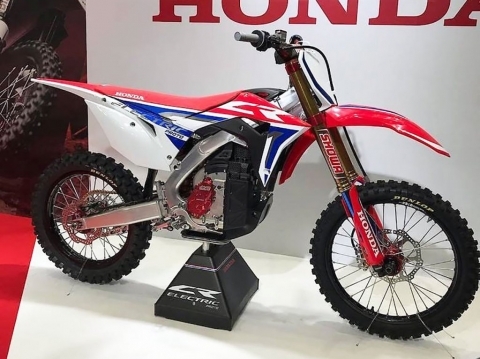 To have a lighter and less powerful bike for the MX1 class so that riders are able to enjoy and play on the bike and allow the rider ride the bike, and not the bike ride the rider! If you give me a wand I will do this today, but we do not have a wand therefore we have to all work very hard together to maybe one day achieve these goals." Comme quoi le terme de mafieux calabrais est peut être un peu faible... Ch'sais pas moi? Mein führer, ça lui irait pas mieux?? C'est oui oui au pays des enfants pour le gros. Tout va bien, la crise? Quelle crise ? Les teams peuvent me dire merci du formidable boulot que je fais, les pilotes aussi etc etc....bref de la belle propagande. Et sa vision dans 10 ans des GP fait peur! Il se croit en motogp cet idiot. C'est marrant qu'il n'évoque pas tout les sponsors qu'il a piqué a des teams pour sa propre organisation, ah oui c'est vrai il n'y a pas de crise, les budgets des boites sont extensibles! Bref on n'est pas sorti du désastre!